Alaska’s Boardwalk Lodge is introducing new self-guided adventures during spring and fall shoulder seasons. Right now you can Take Well Over 50% Off Regular Season Rates from 1 May to 15 June and again from 12 September to 1 October 2012. This spring you can target our prized native Steelhead (up to 37 inches), plus Cutthroat and Dolly Varden on local waterways. 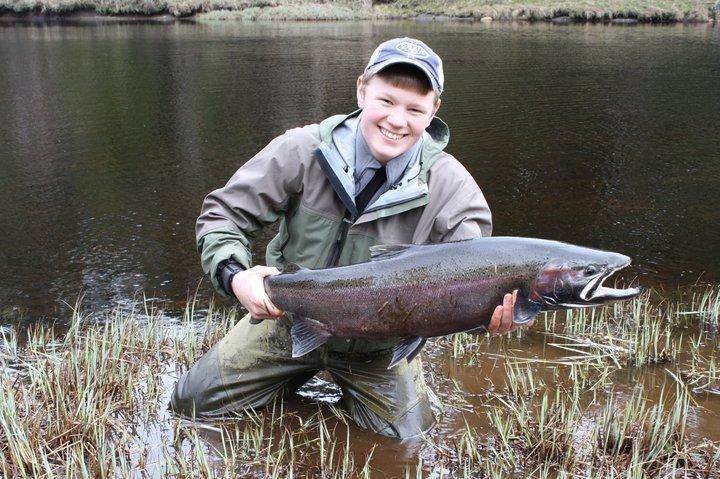 Fall fishing trips let you tangle with the largest of Silver Salmon (up to 20 lbs). This extraordinary package is a 6-night and 5-day adventure for just $3,750. These specials differ from our peak-season packages, as they’re primarily non-guided trips. These shoulder packages are built with economy in mind, perfect for the do-it-yourself outdoorsman. Get to know some of the best fishing holes during your two guided days, then strike out on your own. If you want more support, you can add guide days for a full-service fishing experience.